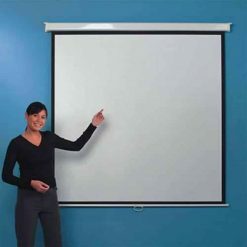 These manual projector screens are the ideal choice for watching films, sports programs and high definition HDTV from your home cinema projector. The manual screen comes with a 16:9 widescreen aspect ratio that keeps images in their original proportions. It features a spring recoil mechanism that allows you to pull it down or retract it easily. 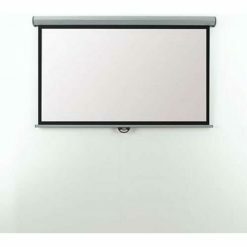 You can mount this projection screen on the ceiling or the wall, making it a versatile piece of equipment. Chase AV Direct UK offers these screens in six sizes that will suit a variety of needs. 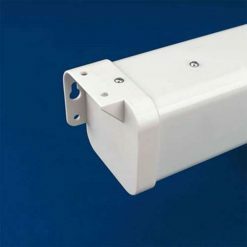 Sizes range from 90 x 160cm to 169 x 300cm. 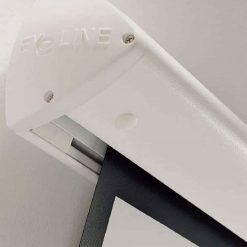 The plain design of this pull down screen will blend well with almost any home decor.